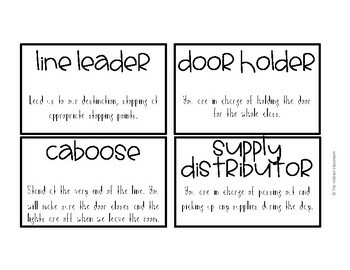 Use this simple job chart to help create a sense of classroom community, help students show responsibility, and to make YOUR life and classroom run smoothly. 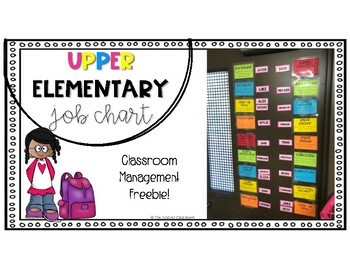 Have students change jobs monthly, weekly, or daily with magnetic name cards or clothespins! 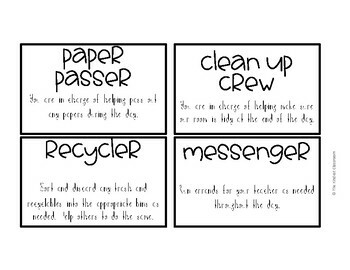 I love using it as my attendance each day as another option. 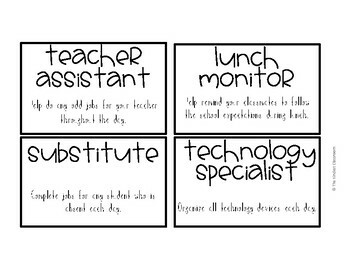 Students simply choose a job with their magnet each day and the leftover student magnets are your absent students!